Trends in the retail industry are inevitably affected and influenced by technological advancements, changing market conditions and evolving consumer behavior. Consequently, both retailers and commercial real estate operators will have to improvise and adapt quickly to such changes in order to stay competitive in their markets. We reached out to various industry experts in the retail sector to provide their perspective on what they are excited about and where retail trends are heading in 2018. 2018 should be a continuation of more disruption in the retail industry. Uses of concern include big boxes, pharmacies, bank branches, automotive, and food halls. The challenge as big boxes become available is there are no new retailers of size looking for space to backfill these vacancies. Alternative uses will be necessary to fill these big box spaces. Never more important is the old adage: Location, Location, Location-for example, the soon to be vacant Toys ‘R Us boxes will be more easily leased because of their phenomenal locations. The pharmacy industry will continue to come under attack with Amazon jumping in this industry in a big way The Banking industry will continue to make changes on how they serve their clientele. How much longer will they need 4 – 6,000 sf branches? When was the last time you were in a bank branch? Bank of America closed a majority of their drive thru lanes in the last few years. The downsizing of their branches should be next. Unlike the big boxes, these buildings should be more easily released and redeveloped-again because of their locations, usually at hard corners and lighted intersections. The automotive industry due to self- driving cars and ride shares will contribute to changes in the automotive uses such as parking garages, travel plazas (truck stops), tire shops and oil lubes service centers. Then there are the proposed food halls. The amount of proposed food halls cannot all be completed nor be successful if done. A few can bring uniqueness to a project, but we definitely do not need the projected number that are on the books for South Florida. That being said, the South Florida real estate climate remains frothy. Pricing continues to be high, rents are growing in high demand markets such as Aventura, Pinecrest and Doral, and development is at an all-time low. Tenants’ sales volumes in these markets continue to be reporting high as well. 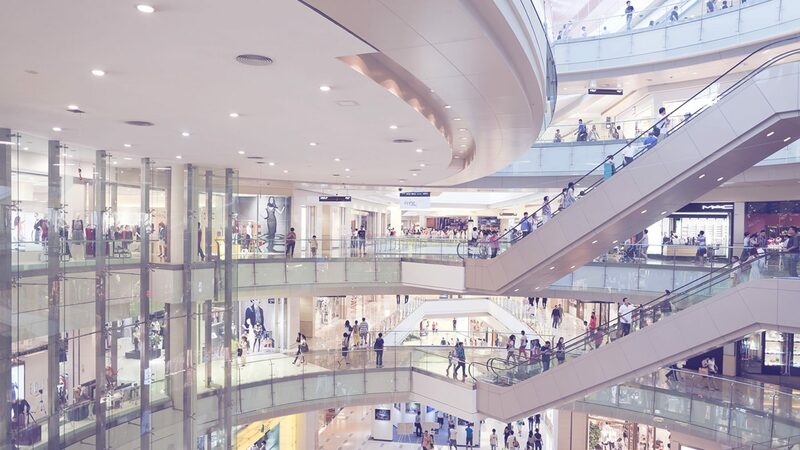 Despite the constant evolution of the retail sector, there is ample liquidity across the risk spectrum for various acquisition opportunities, although seemingly more for core-plus/value-add opportunities. As we near the end of 2017, we continue to be in a low interest and cap environment, and investors agree that pricing of commercial real estate is frothy. As such, cap-rate spreads are of concern should rates rise more rapidly than expected. Although fundamentals show relative stability, retail is clearly in transition creating some aversion to retail investments and causing transaction volume to be down double-digits in 2017. Given the changes, and the headline risk around retail, institutional investors are following retailer’s leads and focusing on primary markets and gateway cities in an effort to minimize risk. This institutional focus on primary markets has made it challenging for private investors to transact in them, driving many private buyers to focus on secondary markets where competition is thin.